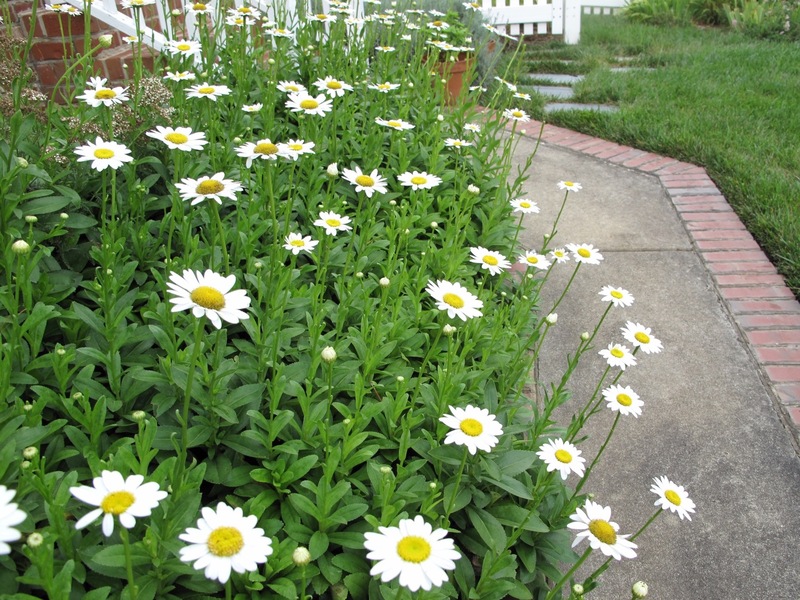 The Shasta daisies have been looking great this summer. They took their time opening though. I think these are ‘Alaska.’ At the end of the border near the back stairs is a different one, ‘Becky,’ that bloomed several weeks earlier. ‘Alaska’ is slightly shorter with stronger stems. This entry was posted in garden and tagged Leucanthemum superbum 'Alaska', wordless wednesday on July 8, 2015 by pbmgarden. I have added Alaska to my interest board-Garden plants shopping list. Love it. I have Becky planted. Love this shorter version. Thanks. If you’re in Chapel Hill please let me know. I can give you all you want. They need to be divided. Wow! they do look great; you’ve reminded me that I have some plants that I grew as cuttings; I just went to check on them and they’re flowering. It is too hot to plant them out now but I’ll re-pot them and plant them in autumn. These are the ones I was expecting to open in time for your arrival. Guess I hadn’t paid attention to when they usually bloom. Glad yours are doing well. Somehow I feel the summer is slipping past and autumn will be here before we know it. Obvious source of the term “fresh as a daisy”. 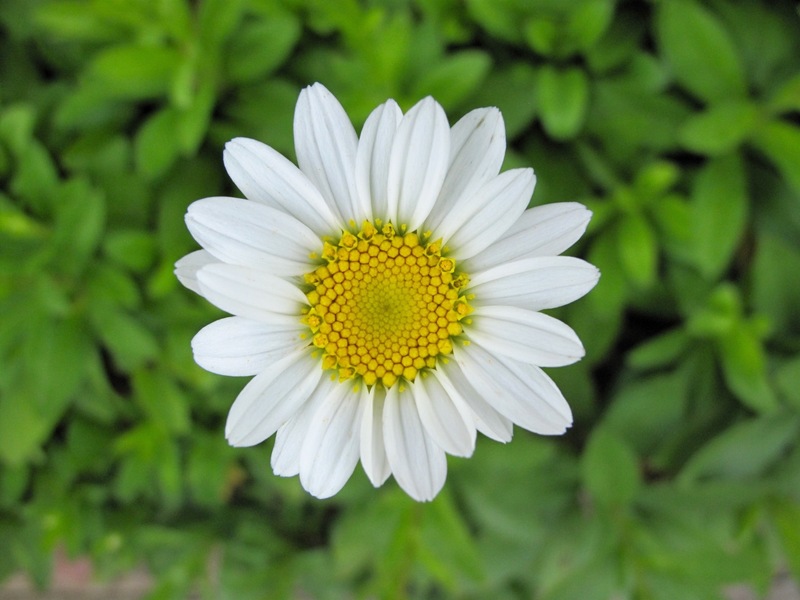 The daisies are pretty when fresh, but they don’t age very gracefully. That youthful beauty is fleeting! They look lovely and no sign of pollen beetle. All my white flowers are covered in it at the moment. I had to look up pollen beetle. Haven’t seen anything like that this year but I believe they have found the daisies in the past. I forgot to point out in the second photograph there is a Crab Spider, Misumena vatia. 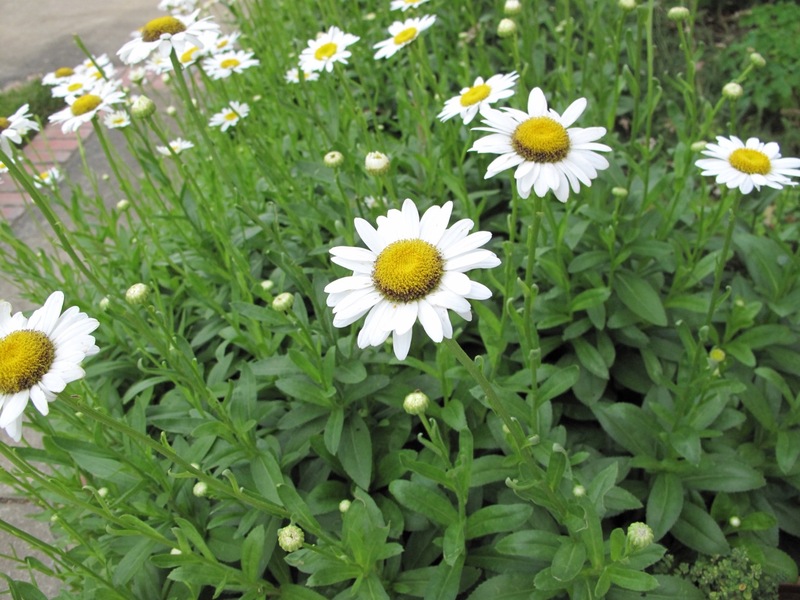 I love the shasta daisies…they just brighten up the garden and vases! So do I Donna. I’ll have to take a tip from you and bring some indoors. They’re very reliable. They’ve taken over the front of one whole border, but the foliage is nice most of the year so I’ve been satisfied with their homesteading. 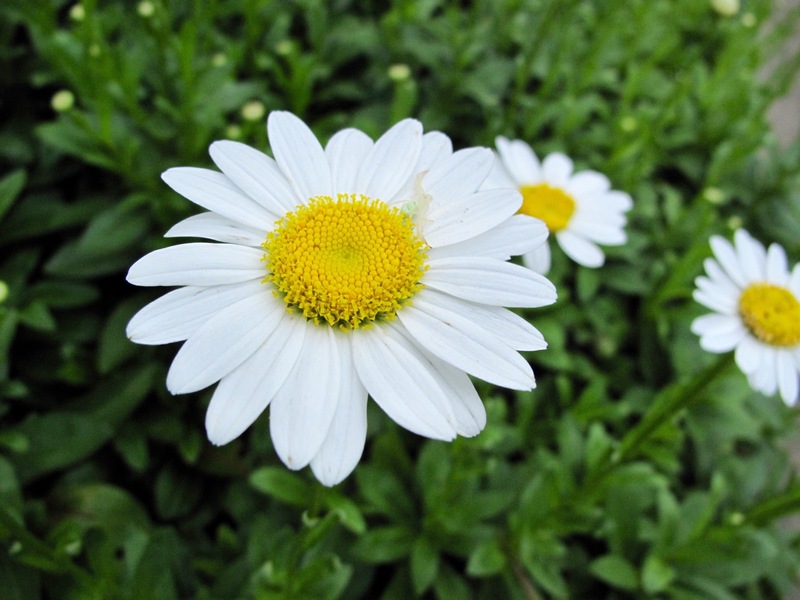 I love Daisies. The look so pretty lining your walkway! Thanks Beth. This has been an inexplicably good year for them. We had terrible drought and extreme heat in May and June but somehow they’re managing.